We know that plants produce volatile organic compounds (VOCs) for a variety of reasons. One obvious example is a perfume to attract pollinators, but they’re also used for signalling in plants. However, not every VOC that a plant smells comes from itself or a neighbour. Sharifi and Ryu look at bacterial volatile compounds (BVCs), and examine research on what effect they have on plants. Bacterial volatiles improve plant growth and yield, leaf size, flower and fruit production, root proliferation, root hair formation, cell size, and chlorophyll content. 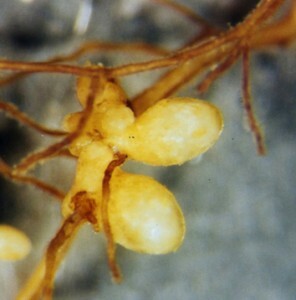 Bacterial volatiles can help plants take up sulphur, selenium and iron. 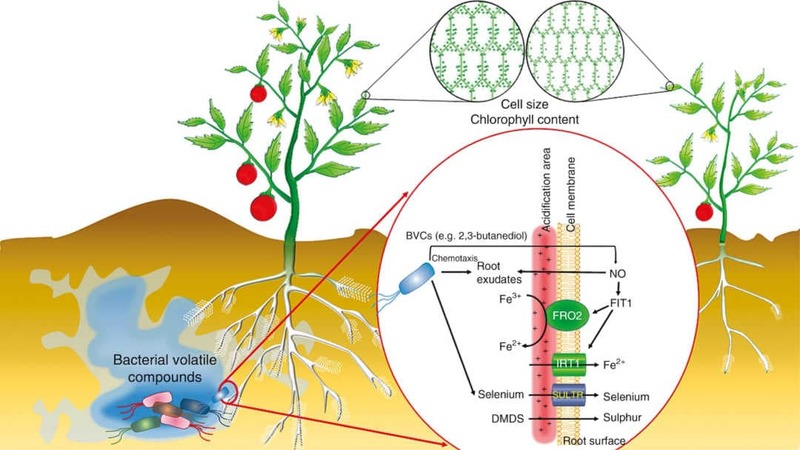 In the case of iron, volatiles enhance proton release to the rhizosphere and increase the expression of FRO2 and IRT1, which are involved in the reduction and transport of iron, respectively. These genes are regulated by FIT1, expression of which is induced by nitric oxide (NO). 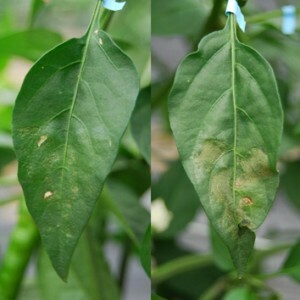 Bacteria volatiles enhance NO accumulation in plants. Volatiles also increase selenium uptake by upregulating sulphate transporter genes (SULTRs). DMDS, dimethyl disulphide. This is a relatively new area of research. One of the authors, Ryu was author on the paper revealing that BVCs had an effect on plant growth in 2003, in Arabidopisis. 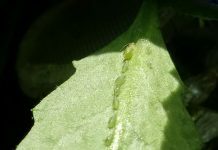 Further research showed that it wasn’t just Arabidopsis that could benefit from BVCs, nor were bacteria the only emitters of VOCs that plants responded to. Fungi also gave of VOCs that influenced plant growth. Sharifi and Ryu discuss research showing that BVCs modulate plant photosynthesis, increase mineral uptake, alleviate biotic and abiotic stress, and modulating hormone cross-talk. They also highlight some topics for future research, such as whether we can identify the plant receptors for BVCs or if BVCs have any side effects for animal and human health.